Former Finance Minister P Chidambaram today advocated bringing a separate law to deal with small and medium companies, saying firms of all sizes cannot be governed by same company’s law. "Eventually, we must have a separate law for small and medium companies and have a comprehensive Companies Act only for large companies," Chidambaram said while participating in a discussion on the Companies (Amendment) Bill, 2017 in the Rajya Sabha. The legislation, moved by Minister of State for Corporate Affairs P P Chaudhary, was later passed by a voice vote. Chidambaram said the Bill had noble objectives to benefit the medium and small companies but relaxations given to such companies under this legislation will be applicable to large companies as well since there was only one Companies Act. He also sought greater transparency and clarity in defining the provisions, saying many of them have been left "as prescribed" in rules", which takes power away from Parliament and vests them in the Executive. "In the orginal Act of 2013, penalties were imposed on late fine...After recommendations of the Standing Committee" the government has made it as "laying down limits to the Act" thereby power has been taken to executive," he said and sought that a time limit should be prescribed in the Act. He also objected to the provision of taking loans or giving loans to director, saying besides the small and medium companies, it will apply to large companies also, which would be unacceptable. Chidambaram also said that corporate governance in India left much to be desired and it took 15 years to bring a new law. "In between, there were various excesses in corporate world. There have been no proper regulation of companies. So, there is much to be desired. Like, many companies do not pay taxes but are part of the Registrar," he said Vivek Gupta of Trinamool Cong said the bill remained incomplete and removal of certain reasonable restriction will make money laundering easier. Stating that provisions to give deposit security has been done away with, which is a serious problem, he said the bill fails to address the differences between various acts like the RBI act, and SEBI act. He said the government is following "one size fits all" and is making a single law while small and medium enterprises continue to suffer and the Companies amendment bill has nothing to address that issue. Ajay Sancheti (BJP) said the Act will facilitate "ease of doing business. 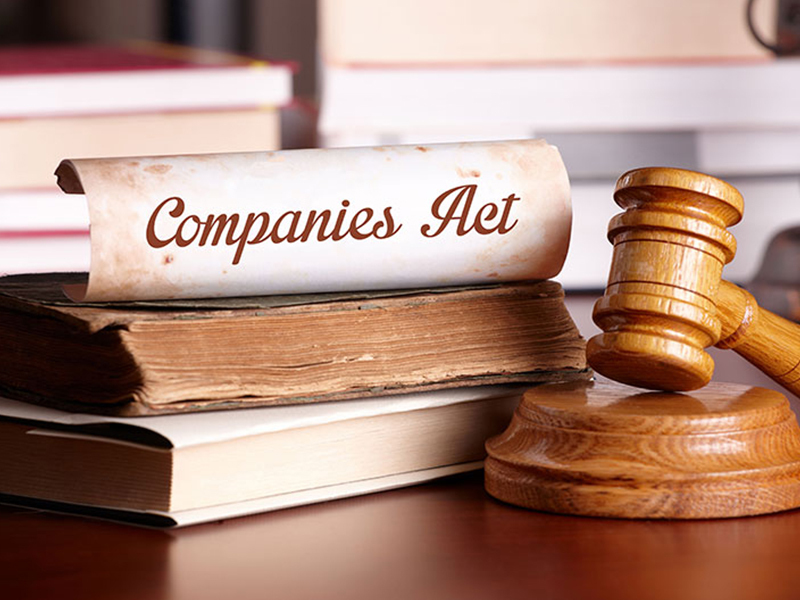 The Lok Sabha in July had passed the bill to amend the companies law seeking to strengthen corporate governance standards, initiate strict action against defaulting companies and help improve the ease of doing business in the country.